Teething is not a fun experience for either the baby or the parents. During teething, babies are extremely irritated due to the teeth growing in their gums. Some symptoms of teething include: drooling, irritated mood, chewing on hands, feet, objects, swollen gums, trouble sleeping, and trouble eating. There are many natural remedies for teething babies. Not everything works for everybody, so it is recommended to try a few different methods and see which helps your baby the best. If natural remedies seem to fail, there is no shame in resorting to over-the-counter teething medicine. There are many that are all-natural, homeopathic, and completely safe for your child. Consult with your pediatrician before medicating your baby to be sure you’re being as safe as possible. Simply rubbing your baby’s gums can help them feel better instantly. It minimizes irritation and soothes their gums with this little massage.The slight pressure of your finger takes away some of the aching your baby is experiencing while teething. There are many mouth massage products that you can purchase that will do about the same job as your finger. Some of these products include teething rings and toys. Cold washcloths are a wonderful tool in helping your baby reduce their teething pain. Simply chill a wet washcloth for about 15 minutes before handing it over to the little one to chew on. The washcloth can be wet with water, breastmilk, or chamomile tea. The coolness reduces swelling and irritation while allowing them to get more irritation out by chewing on the cloth. Watch your baby closely to make sure they are not chewing on too much of the cloth at one time as they can choke by doing so. Cold fruits like apples and bananas do wonders for soothing teethers. The coldness reduces swelling and irritation while providing them with something to gnaw on. 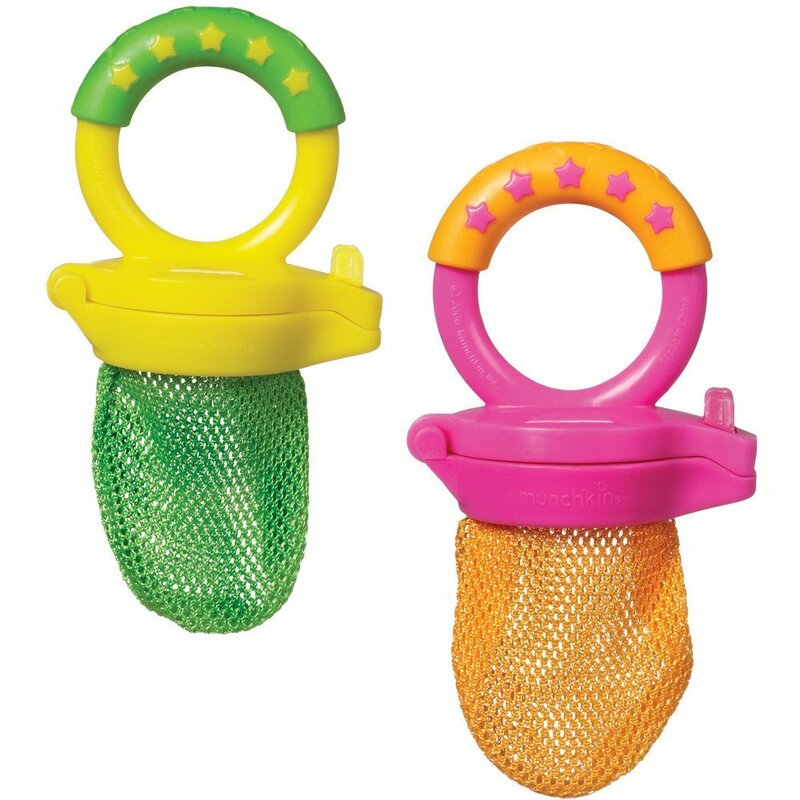 This mesh feeder is perfect for those babies too young to be munching on solid fruits yet. They still get the cooling sensation of the cold fruit to soothe their aching gums. As stated before, there is no cure-all for teething babies. What works for one mom might not work for the next. These are just some of the most common remedies out there. There are dozens of different tactics you can try to calm your teething baby.